Pianist Alexandria Le has been praised as “a warm, animated, outgoing, confident, hypertalented pianist” (Boston Musical Intelligencer) who is also a “passionate and involved player” (New York Classical Review). She enjoys a multi-faceted musical career, one which has brought her performances to the world’s leading stages, like Carnegie Hall, to where music is needed most, like the jails of Riker’s Island. Equally accomplished as a soloist and chamber musician, Dr. 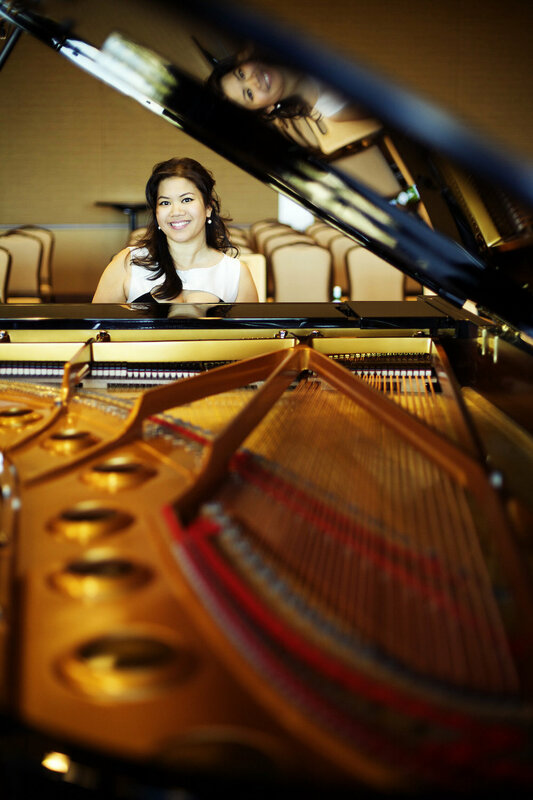 Le gave her solo debut in Carnegie Hall as prizewinner of the Pro Musicis International Award, and a few months following, won a two-year position with Carnegie Hall’s resident chamber group, Ensemble Connect. A sought-after collaborator, she has enjoyed performing an extensive range of work with members of the world’s leading ensembles and acclaimed instrumental soloists. Additionally, she has held exclusive collaborative piano positions at the Banff Centre of the Arts in Canada. With a strong background in arts advocacy from her associations with Carnegie Hall’s Weill Music Institute and Pro Musicis, Dr. Le has been recognized as a “community leader” (Las Vegas Review-Journal) through her enterprises. She is founding Executive Artistic Director of Notes with a Purpose and the Las Vegas Music & Wine Festival, both of which engages and enriches diverse communities through creative music programming around Las Vegas, a city of 2 million residents. A native of Las Vegas, she garnered sixteen first-prize awards, gave live performances and interviews over KNPR-Las Vegas and was a featured soloist with all of Southern Nevada's orchestras—all before graduation of high school. An alumnus of the Grammy-awarded high school Las Vegas Academy of the Arts, she was inducted among the first seven honorees into their Hall of Fame. After receiving a Bachelor of Music degree from the Eastman School of Music, Dr. Le went on to pursue a Master of Music and a Doctorate of Musical Arts from Stony Brook University. She became a Yamaha Artist in April 2015. Click on the following social media platforms to link to those pages.